When Disney purchased Lucasfilm in 2012 and announced it would release a new Star Wars film every year starting with The Force Awakens in 2015, the plans seemed ambitious. It was a departure from the three-year gap between the previous Star Wars trilogies and an obvious attempt to deliver the content demand that’s now expected, thanks to the Marvel Cinematic Universe. 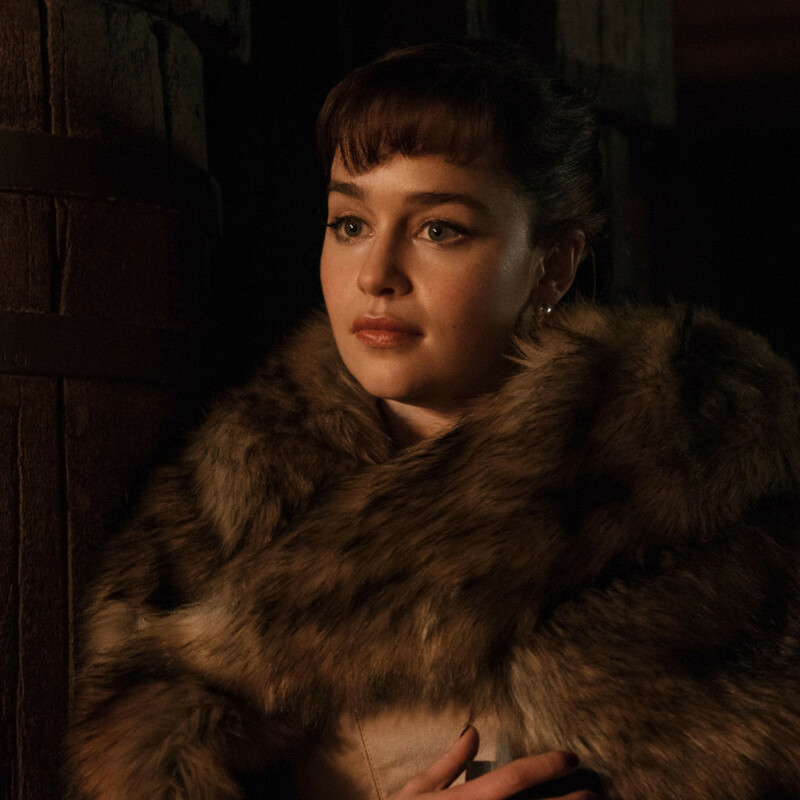 They are bridging the now two-year gaps of the new trilogy with untold stories in Star Wars history, which brings us to what should have been a surefire winner, Solo: A Star Wars Story. Taking place mostly around 10 years before the events in A New Hope, a young Han Solo (Alden Ehrenreich) is constantly on the move, scamming his way into new opportunities. 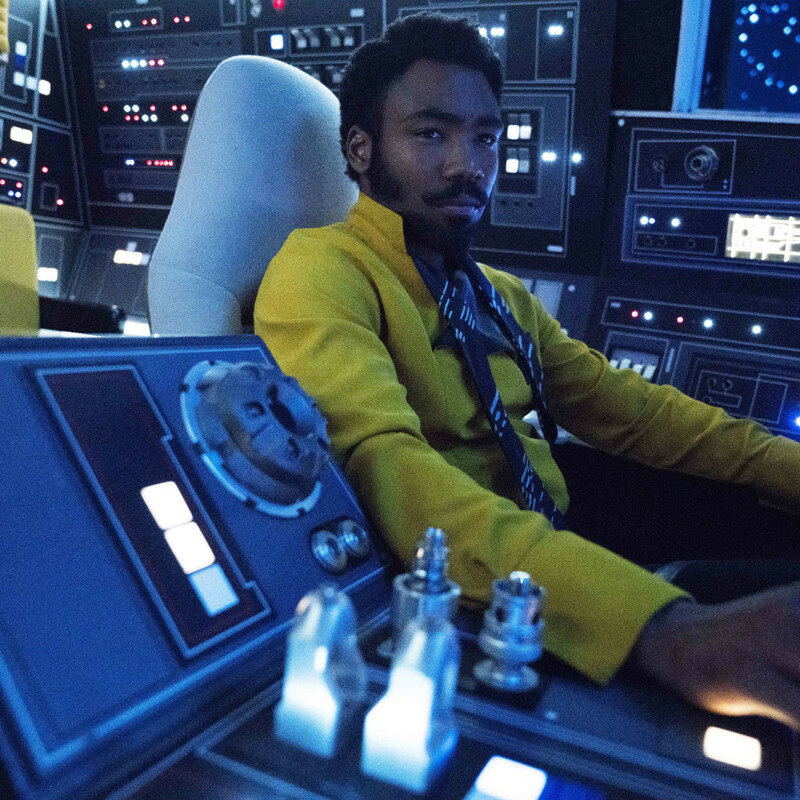 His itinerant lifestyle takes him all around the galaxy, putting him in league with, among others, the Imperial army; fellow rogues Tobias Beckett (Woody Harrelson) and Val (Thandie Newton); an imprisoned Wookiee named Chewbacca (Joonas Suotamo); smuggler Lando Calrissian (Donald Glover) with a very familiar ship; and Qi’ra (Emilia Clarke), a woman with whom he grew up on the planet named Corellia. 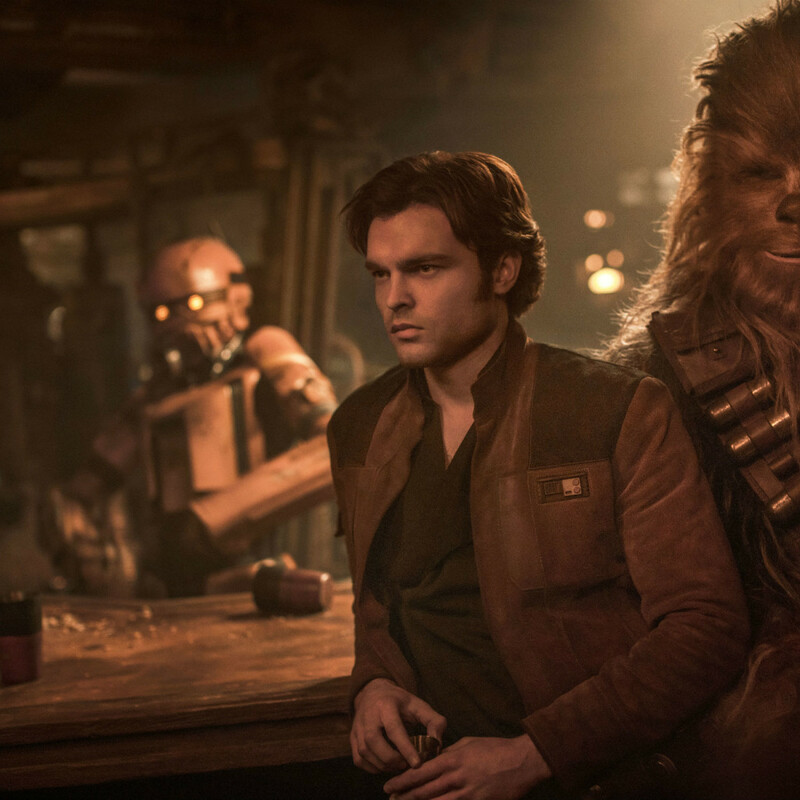 The film is essentially one long heist story, as Solo and the people he joins forces with are all on the hunt for an extremely valuable fuel controlled by the Empire. This search leads to a variety of action set pieces, including one set aboard a moving magnetic train and another involving the legendary Kessel Run Solo has been known to brag about a time or 10. First, the good news: Ehrenreich and Glover are good and great, respectively, in the roles originated by Harrison Ford and Billy Dee Williams. Ehrenreich doesn’t attempt to sound like Ford, but he embodies the smug confidence Ford gave Solo. It takes virtually no time to make him believable. 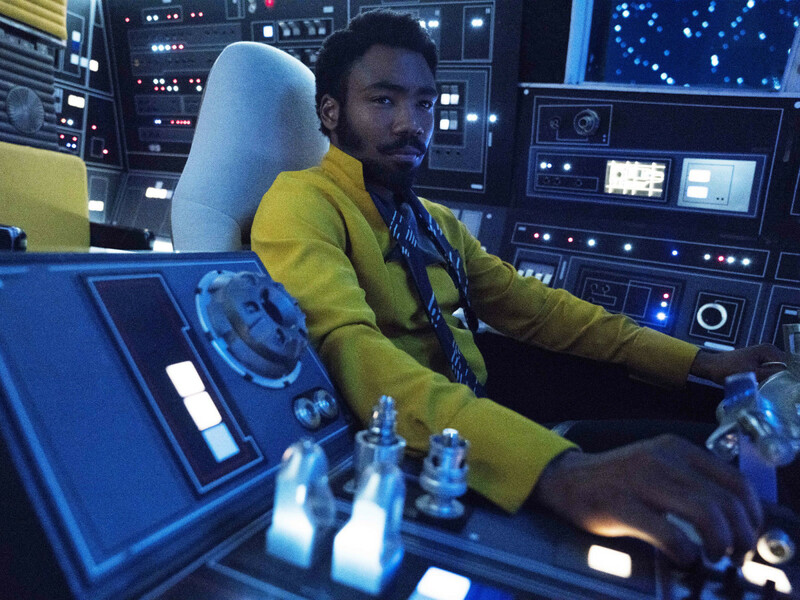 Glover, meanwhile, is dynamite as Calrissian. He’s smooth, stylish, and perfectly suited for the ups-and-downs Calrissian experiences while in Solo’s orbit. Thank goodness they and the rest of the cast give memorable performances, because the story as a whole is not that exciting. Perhaps it’s because there’s no big villain to root against, although Paul Bettany does put on a good show as Dryden Vos, the leader of a criminal organization named Crimson Dawn. 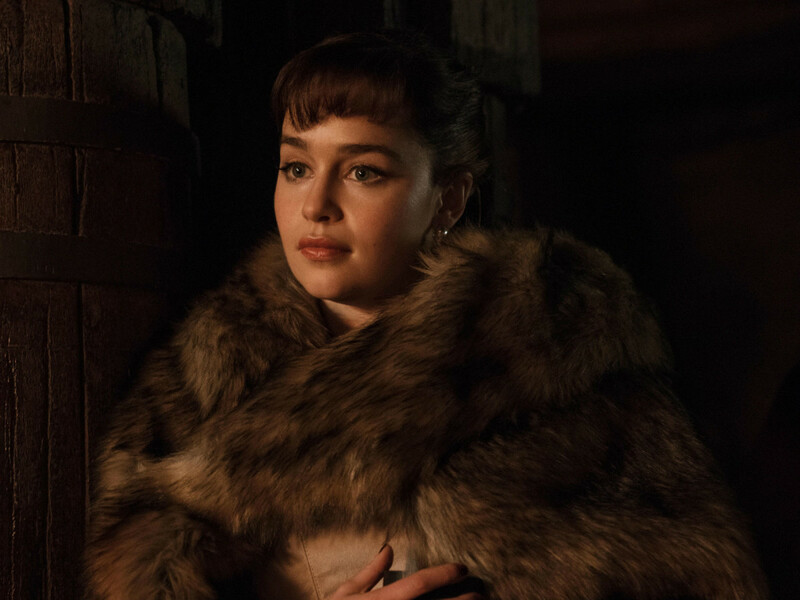 But the distinct thrill that usually accompanies a Star Wars movie is missing, and no amount of filling in the blanks on Solo’s life makes up for that lack. The story of how original directors Phil Miller and Christopher Lord were fired and Ron Howard was brought on to finish remains mysterious, but there are times where the joining of the two parts of the film seems obvious. 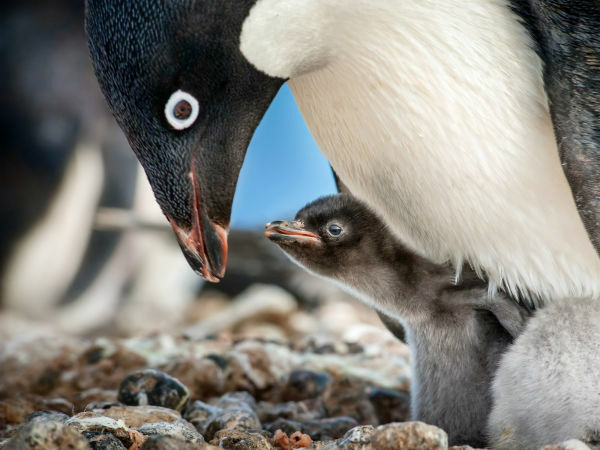 On multiple occasions, a character will start speaking while not on screen, only appearing 10-15 seconds later to finish the scene. While not horrible, it can be somewhat distracting. 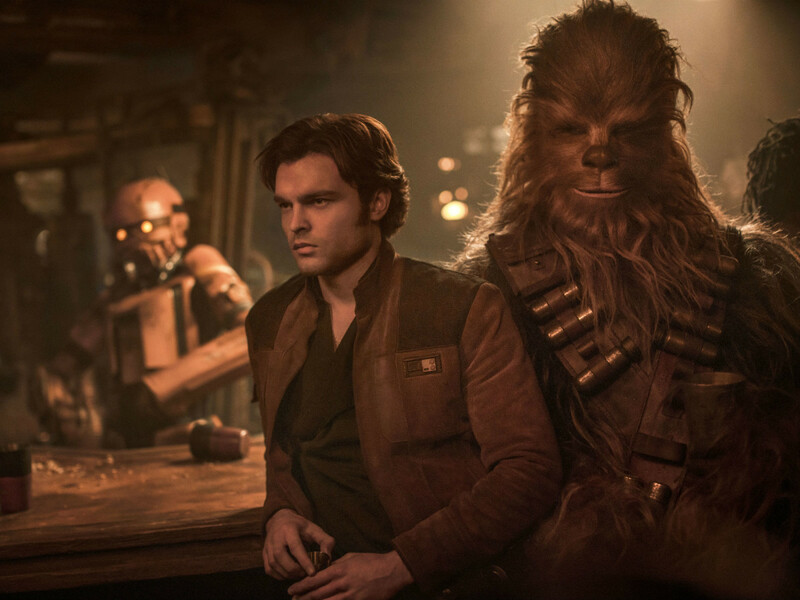 Solo: A Star Wars Story is not a bad movie, but it doesn’t measure up to the storytelling on display in the first three movies of the new Star Wars era. Han Solo is a great character, but this movie only does well at showing his words, not his actions.